Got a craving for chocolate mint cookies? 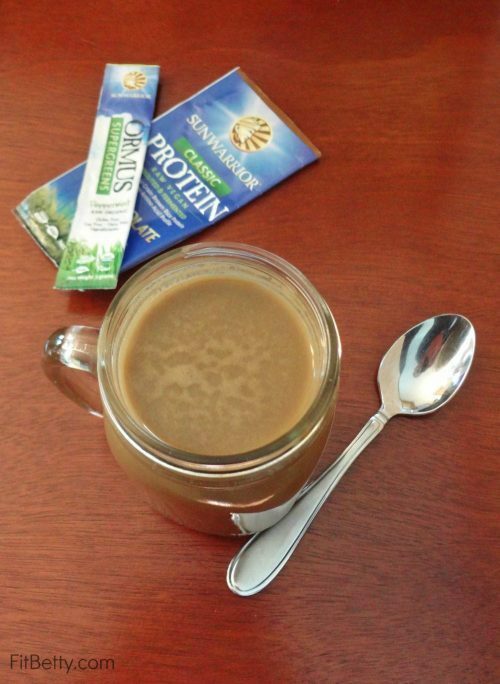 Nourish your body better with a Chocolate Thin Mint Protein Shake and get some greens in you diet too! Eating right can be tough sometimes: balancing macronutrients, getting enough vitamins and minerals, tracking your veggie, fruit, and water intake…. If you haven’t already made some of these things a regular habit, it can be a challenge to stay on top of everything you need to do for your nutrition. If you have food allergies and intolerances, then the challenge is even greater. But it doesn’t have to be difficult! My personal nutrition challenges is eating enough vegetables and getting plenty of protein while keeping my sweet tooth under control. 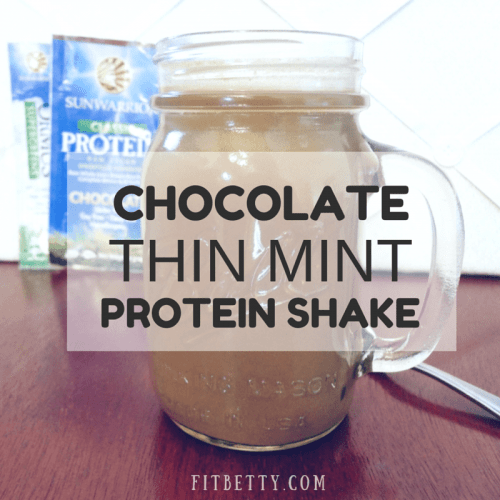 I made it a bit easier to take care of all of those things (veggies, protein, and sweet) in one shake: my Chocolate Thin Mint Protein Shake. Pretty sweet (and minty)! 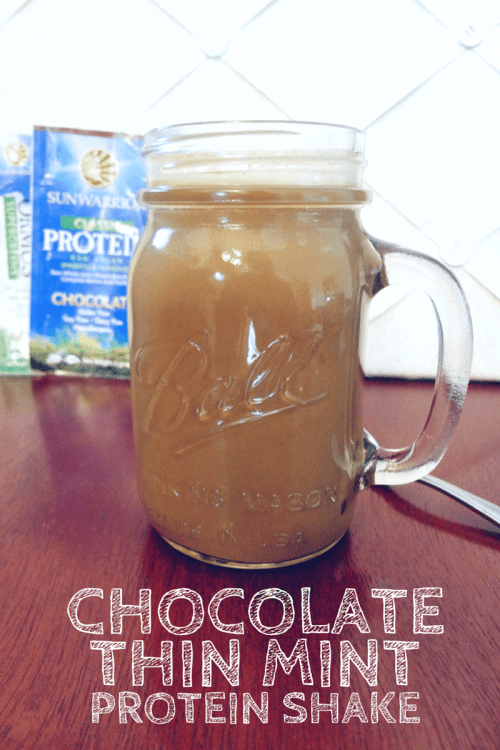 If you are looking for a new protein shake recipe, here’s a fun one that features one of my favorite flavor combos: Chocolate Thin Mint Protein Shake made with SunWarrior Classic Chocolate Protein and Peppermint Ormus Greens. 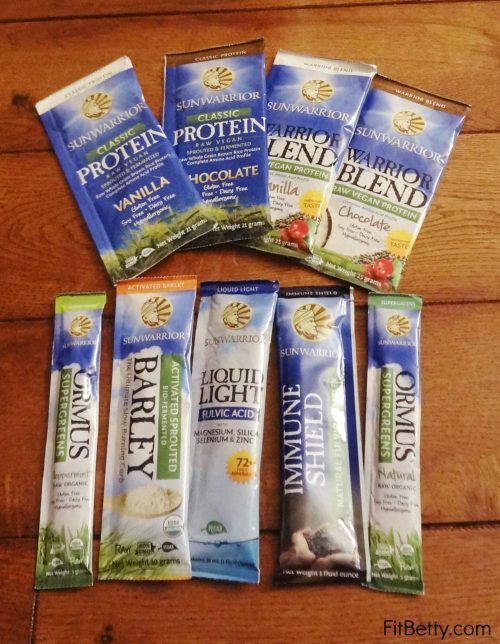 SunWarrior sent me sample packs of their products to try out along with a nice SunWarrior Blender Bottle! I was already a fan of their brown rice protein powder from back when I ate more brown rice protein powder (I have moved to a more grain free diet recently), so I was really looking forward to trying out their supplements. In a small blender or blender bottle, combine all the ingredients and blend/shake well. Enjoy! Yum, I love the flavor of chocolate mint & this shake looks good. I’ll have to look into SunWarrior! OOOO genius!! Beyond genius! I haven’t had sun warrior in awhile, but I adore it 🙂 I think I need to change that, VERY SOON!